Only 10% of such frauds are reported, investigators estimate. Older people often fear losing their independence if their children find out. Most reported cases aren’t even investigated. 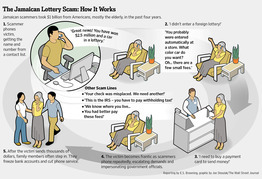 Some of the most insidious scams are those targeting older people concerns about retirement security. Read how scammers got thousands of dollars in three cases.